Describe the first time you went on a camping trip. You should write about the activities at the camp and explain how you felt about the experience. What are the ways to cultivate reading habits among students? Describe an enjoyable stroll in a park. There are many things to do after your SPM examination. Write about your plans for the next three months and the challenges you might face. What is the best way for teenagers to stay fit and healthy? Describe your experience participating in a singing competition. Describe an enjoyable weekend you have experienced. The number of elderly people in the world is increasing. What do you think are the positive and negative effects of this trend? Describe the most terrifying experience in your life. The Internet is mostly a good thing. Do you agree? Support your opinion. Why are animals important to human beings? There is a lack of freedom given to teenagers today. Do you agree? Describe an important family celebration and how you felt about it. ‘Honesty is the best policy.’ Describe an experience when this was true for you. “The Internet is mostly a good thing.” Do you agree? Support your opinion. ‘Truly Malaysian.’ Describe what this means to you. Why is having good neighbours important? Describe what makes you happy and explain why. ‘A friend in need is a friend indeed.’ Describe how a friend helped you in difficult time. Examinations - good or bad? Social networking has caused a lot of problems. How far do you agree? Are loyalty and membership cards for shoppers really worth it? Spending time in shopping centres has become a culture in our country. Do you agree? Write a story about being alone. Write a story ending with: "... They looked at each other and smiled meaningfully." Write a story of an old man returning to his home he left many years ago. Write a story beginning with: "The teacher walked into the classroom. It was the first period..."
Write a story ending with: "... Now I realise the value of a true friend." Write a story beginning with: "It had been raining all day..."
It all started at boarding school. I was sent to boarding school at the age of 13 in the hope that I would excel in my studies. But I was quiet and always got bullied by older kids. Only one person ... (read more)"
Write a story beginning with: "Kim was nervous when the door opened..."
Write a story with the following title: A Narrow Escape. "It was a sunny day and a few clouds were seen floating across the blue sky. I had reached 20,000 feet when my friend, Mike, reached me by radio. "Hey Dean, after this test flight, why don't ... (read more)"
"Life was perfect. I had a girlfriend, a great family and I was about to enter Harvard University. But then there was a disease outbreak. The human race was almost wiped out as most humans were transformed into zombies. I fled ... (read more)"
"It was late at night. James and I were walking in a field near our base camp. The stars were out and suddenly, James covered my eyes with his hands. "Tada!" he said, removing his hands to ... (read more)"
Write a story that ends with: "... If only I had listened to his/her advice." "I had never felt so much regret in my whole life. I was standing in a graveyard looking at a headstone. The headstone read 'Marie Sanders. Born 21 May 2040. Died 13 February 2072. No sister was ... (read more)"
"There are many famous people in the world who are in the entertainment line, science field and so on. The person I admire in particular is actor Tom Hiddleston. He was born in ... (read more)"
Write a story ending with: "If only I had been more careful, that wouldn't have happened." "It was dark. My partner Jack and I were doing our usual rounds around the palace grounds, talking among ourselves softly. As we walked, I looked around. The night air was still and the palace ... (read more)"
"Last December, my family and I went to Pulau Tioman for our holidays. We stayed there for three days. On the first day, we left our house at six in the morning in my father's car and headed for ... (read more)"
Write a story beginning with: "Is it really you? Where have you been all these years?" "The night was extremely chilly as it had been snowing a lot here in Rome. The lovebirds, Matt and Lily, had just finished watching a romantic film. While their car stopped at the ... (read more)"
"When I was at a very young age, I remember playing with the kid next door named Ramlee, the girl from across the street - Tina with her shy little brother, Jonah, who was always tagging along. All ... (read more)"
"It happened a few years ago at work. I worked as a physiologist at a Wellness Centre for soldiers in New Jersey, USA. One day, I was assigned to James who had a leg injury from a battle ... (read more)"
Describe an unforgettable incident that you saw on your way home from school. "The last period had ended and after bidding the teacher goodbye, our class started to disperse. After mounting my mountain bike, I started pedalling along the concrete path. Soon, I was out ... (read more)"
"What do colours mean to you? Colours can express ones' feelings and it can also represent ones' sexual orientation. Colours can determine what type of person ... (read more)"
Write a story ending with: "...They looked at each other and smiled meaningfully." Janet and Siew Ling were best friends. They loved to do good to other people. Their acts of kindness to others made them happy and gave them satisfaction ... (read more)"
"Hello Choon Meng, Thank you for your requests. I have edited your essay. Seen below are your original essay and my explanations (the red text in italics below each paragraph)... (read more)"
"Hi Libra Nytestar, Thanks for your questions. The use of could was explained earlier and I'll repeat it here: The modal verb could is used:... (read more)"
"Hi Herman Lim, 1. Since 'beside' is a preposition to show position, the correct phrase should be besides that. 2. Apart from dialogues, we use the simple present tense when we talk about facts and universal truths... (read more)"
"Dear Shruti, Thank you for your request. The right collective nouns for tigers are 'ambush', 'streak' and 'hide'. an ambush of tigers... (read more)"
"Almost everyone in the world has future plans. A person without any plans is likened to a ship sailing the ocean aimlessly without any destinations. Having plans help us know our objectives in life ... (read more)"
Mobile phones should be allowed in schools. Do you agree? "Mobile phones are one of the great inventions and high technology items in this modern era. They have become some of the most indispensable objects in our daily life as ... (read more)"
"It was the wettest December I had ever experienced. The torrential rains had ruined my holiday plans as floods continued to wreak havoc in several states. I had pleaded with dad to allow ... (read more)"
"In the east beyond the city, the sun rose. It resembled a red gold ball. A ray of light shone through the window of my bedroom. I woke up and opened the window. Some birds ... (read more)"
"Dear Jacky Chan, Thank you for your request. The lists of collective nouns for people, animals and things are available on this page. The list for animals has just been updated. Though not ... (read more)"
"Dear Darcy, Thank you for your question. We use I was and I were in different circumstances. In normal circumstances, we use I was as 'was' is the past tense of the verb / auxiliary verb 'am' ... (read more)"
Describe an outing with your friends. Last year during the first semester holidays, I went on an outing with my classmates and best friends, Ariff and Adam. Adam's father won a trip to Penang, which came with a hotel suite stay for ... (read more)"
Write a story ending with "... I realised that good-hearted people are always there in this world." "Class, our lesson has almost come to an end. Your homework for today is to do exercise 12 on page 45 of your textbook," said our mathematics teacher, Mdm Wong. Not long after, the ... (read more)"
Write a story with the following title: Pride Goes Before A Fall. Having held the interschool storytelling championship for the past three consecutive years, I was the star of my school. When it came to choosing the right candidate to participate in... (read more)"
During the last Chinese New Year holidays, my family and I made a trip to Kuala Lumpur. A few months before we went on the trip, my parents booked the air tickets. They also booked a room at ... (read more)"
"Hi Jia Sin, Thank you for your questions. to play - the infinitive marker to is often used before the base form of a verb to show purpose or intention ... (read more)"
Write a story ending with: "...How will I explain everything to my father?" "Son, turn off the computer now and do your revision immediately. Your second terminal exams are approaching," said my father, as he was getting ready for work that morning... (read more)"
"Hello Jia Sin, I'm glad to know that you find english312.com a great and helpful site. Here are the answers to your questions: Have been / has been is combined with a present participle... (read more)"
Write a story beginning with: "The teacher walked into the classroom. It was the first period ..."
"The teacher walked into the classroom. It was the first period that morning. Our English teacher, Puan Maimunah, greeted us and we greeted her back. Then, the lesson began... (read more)"
"Hello BMA, Thank you for your questions. Do is a plural auxiliary verb (singular: does) used with not before a full verb to form negative... (read more)"
"Hi AHTO879, Thanks for your question. The modal verb 'can' means 'be able to' or 'to know how to do something'. Examples: I can drive well... (read more)"
"Hello Justin, Thank you for your questions. The adjective 'omnipotent' carries 2 meanings: (1) (of a deity) having unlimited power and therefore able to do anything. Examples: ... (read more)"
"Dear Timothy, Thank you for your question. The phrase 'first things first' means 'the more important things should be done or dealt with first'. Examples: ... (read more)"
"Billy was extremely overjoyed. He had just got his SPM examination results and he scored straight A's. His parents promised to take him to Taiwan ... (read more)"
"The teacher walked into the classroom. It was the first period of the school day. After our class had exchanged greetings with our English teacher, Mdm Lucy, ... (read more)"
Describe the biggest challenge in your life. "I had a pampered and protected childhood. As the youngest daughter, I was the princess and prima donna of our family ... (read more)"
A day I wished had never happened. "Every time I see my pet dog Lucky's picture, I feel sad. I had always wished Lucky good health and longevity. I ... (read more)"
"My eyes are filled with tears as I look at a photo. It is a family photo taken three years ago, showing my parents ... (read more)"
"Dear Elaine_Ling, Thank you for your question. The phrase 'is filled' is often used with the preposition 'with'... (read more)"
Write about a person who has succeeded in life. "It is lunch hour. A large restaurant located in the heart of Kuala Lumpur city is packed with regular customers ... (read more)"
"I had never taken my studies seriously. In fact, I was the happy-go-lucky type of person. Compared to me, my classmate ... (read more)"
"Of all the animals on earth, only human beings keep other animals as pets. Among the various types of animals ... (read more)"
"One Saturday afternoon, I had to babysit my three-year-old little sister. My mother was going out and my father had to work overtime ... (read more)"
Write a story beginning with: "It had been raining all day ..."
"It had been raining all day and I was feeling bored that evening. As the single child of my family, I had no one to play with. My mother was ironing clothes downstairs and my father ... (read more)"
"We were all very excited and happy when my father announced that we were going to move to a new house located in a new housing estate. My father had wished ... (read more)"
1) Our souls are immortal. 2) Vampires are imaginative creatures said to be immortal. English, being an international language, is the world’s most widely used language. There are countless benefits, if you are good in English. Is English an easy language to learn? It actually depends on how you learn it. The truth is, if you use the right techniques and is determined to succeed, speaking and writing standard English can become a reality. The amount of time that you spend learning English is also an important factor. The more time you spend, the more knowledge you have and the better you command of English. If you wish to improve your English to impress your superiors and bosses, to score high marks in any exams, etc., you have come to the right website - english312.com. So, make good use of the material here and check back often for new updates. Should English learners learn grammar? Why is it so important to learn grammar? Reading helps English learners greatly, especially in the understanding of grammar and sentence structure. Many learners face problems with the sentence structure of the English language. 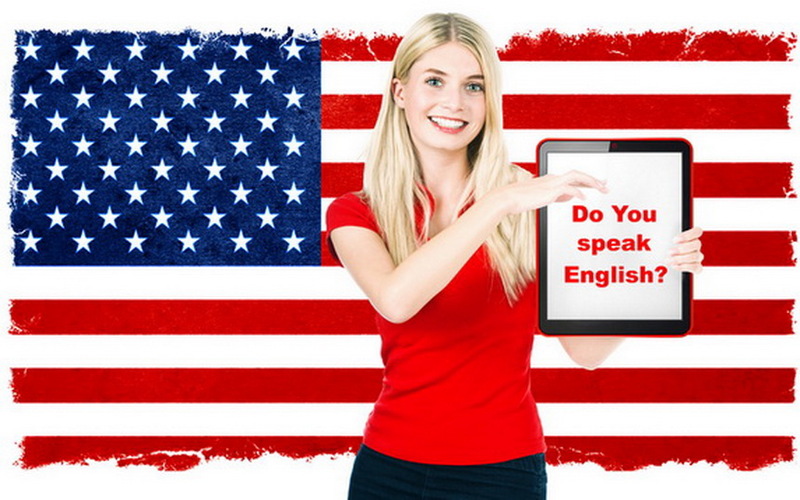 If you are an English learner who falls into this category, be glad to know that you are able to solve this problem effectively through reading. It is not an exaggeration to say that the more you read, the better your command of English. To read, click here. If you are a student and wish to be proficient at writing essays, click here. Consisting about 250,000 words, the English language is actually the language with the most words in the world. The more words you know, the better you are in expressing Yourself. Making good use of dictionaries is definitely a good way to increase your vocabulary. Apart from that, the 'Increase your vocabulary' section of this page also helps to increase your word power. As it is updated on a daily basis, don't forget to check back each day to learn a new word daily. There are many books, cassettes, video cassettes, DVDs, etc. that teaches English. It’s a good idea to make good use of them. Apart from that, there are also many websites on the Internet the teaches English free of charge. 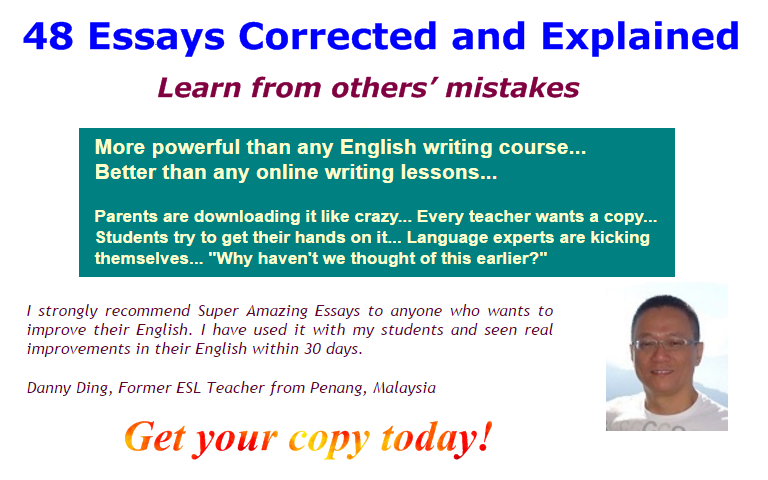 English312.com is a good example of a website that provides free online English learning facilities. So, just feel free to reap the maximum benefits from this website and be sure to bookmark it! Don't forget to inform your friends about it, too. Receiving tuition or taking courses in English is one of the most effective ways to learn the language. You can choose a course that meets your requirements, since different individuals learn English for different purposes. 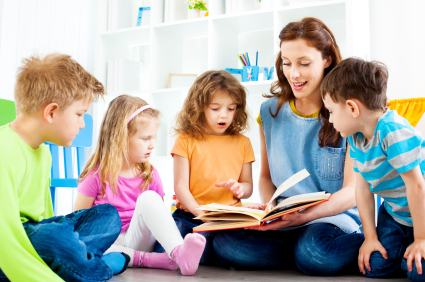 Besides the five ways stated above, there are many other ways to learn English. Those stated above are some of the best ways. Generally speaking, the more exposure to the English language you have, the more effective it is. Thus, it is a good idea to combine the ways stated above to learn English more effectively. For more tips on how to master the English language, please visit our blogs page. "She has used the last of her savings to get to the cooking competition in the big city and she has tried her best to emerge victorious. It is all up to the professional judges now. While waiting for the announcement of the result, very second seems like an eternity. She could feel her heart ...(read more)"
Title: Describe the first time you went on a camping trip. You should write about the activities at the camp and explain how you felt about the experience. "During the school holidays last year, I had an opportunity to participate in a 3-day camp organised by the Boy Scouts Association of my school. As it was the first I had ever taken part in, I was really excited about it before the trip. Apart from the scouts from my school, those from a school ...(read more)"
Title: What are the ways to cultivate reading habits among students? "It is a fact that students today do not read much compared to those in the past. Since reading brings forth a lot of benefits such as to expand one’s knowledge, improve one’s language skills and boost one’s creativity, youngsters should be persuaded to develop a love of reading ... (read more)"
"The blare of the alarm clock signalled the start of another schoolday. I exerted my weight on my feet and hobbled to the basin for a quick brush-up. My eyelids were still sagging from the intensive burning of the midnight oil the previous night. I breakfasted and set off for school with a ...(read more)"
"Clutching my belongings, I jostled my way through the milling crowd and seated myself alongside a few members of the audience. There I sat, looking down upon a scene the like of which I had never seen before. The whole hall was suffused with resplendent golden light, and a glossy ...(read more)"
Title: Describe an enjoyable stroll in a park. "Strolling in a park is an enjoyment to me. During weekdays, a student like me is so occupied with homework and studies that not much time is left for leisure activities. Last Saturday, I decided to take my little brother for a walk in the park. We arrived in the park near our house at 7 a.m. At the ...(read more)"
"I live in a village with a population of approximately 5,000. Puan Ramlah, an elderly lady, lives alone in a run-down wooden house in close proximity to mine. In the past, Puan Ramlah lived with her husband and 3 children. Recently, her husband passed away. Her 3 children live far ...(read more)"
Title: There are many things to do after your SPM examination. Write about your plans for the next three months and the challenges you might face. "Despite the fact the SPM examination is just round the corner, I have had the following 3 months after the examination planned, besides studying hard and doing last-minute revision. The first plan for the 3-month period is what most teenagers would do after completing secondary school ...(read more)"
Title: What is the best way for teenagers to stay fit and healthy? "Teenagers are youngsters between 13 and 19 years of age. As teenage years are the period that most of our growing occurs, it is of vital importance that teenagers stay fit and healthy to facilitate the process. In my opinion, the best way for juveniles to gain good health and fitness is through ...(read more)"
Title: Describe your experience participating in a singing competition. "Last Saturday, I took part in a singing competition organised by the management of a shopping mall. A total of 32 contestants participated in the contest. As it was my first participation, I was really excited about it. Before the contest, I had a fortnight to prepare and practise. After ...(read more)"
Title: Describe an enjoyable weekend you have experienced. "One weekend during last year’s year-end holidays, three cousins of mine from Australia visited my family. They were here from Friday to Sunday. Born and bred in the land of the kangaroo, they had never been to Malaysia. We had a great time with them and took them sightseeing around Kuala ...(read more)"
Title: The number of elderly people in the world is increasing. What do you think are the positive and negative effects of this trend? "Thanks to the advancement of medical science technology, human beings now enjoy a longer life. Due to the fact that many couples of the world currently prefer quality to quantity when it comes to the number of children they wish to have, it is not unanticipated that the global population of the ...(read more)"
Title: Describe the most terrifying experience in your life. "The sky was so beautiful. I could see stars glittering and the moon shining mother earth. I was impressed by God's magnum opus. I was enjoying my lovely night and listening to a charming piece of English music when all of a sudden, my happy night turned the other way round. I heard ...(read more)"
Title: “The Internet is mostly a good thing.” Do you agree? Support your opinion. "The Internet is the electricity of the 21st century. Yes, we are so attached to it every day. Indeed, it is one of the greatest inventions of all time. Since it upgrades our lifestyle, I must say that the Internet is mostly a good thing. Firstly, the biggest advantage of the Internet is its role as a ...(read more)"
Title: Why are animals important to human beings? "There are a number of reasons why animals are important to human beings. The main reason is that animals benefit us personally, socially and economically. Since the time of our cavemen ancestors, there have been interactions between humans and animals. Animals can be our ...(read more)"
Title: There is a lack of freedom given to teenagers today. Do you agree? "The majority of teenagers today complain that they are not given sufficient freedom. Despite their complaints, I believe that teenagers are given more than adequate freedom. Since teenagers are still dependent on their parents, too much freedom can be bad for them. There are many ...(read more)"
Title: Describe an important family celebration and how you felt about it. "Last Saturday, my family had an important celebration. It was my father’s birthday and we celebrated the special occasion by throwing a surprise party for him. A week prior to the party, we secretly invited our relatives and my father’s friends to the party. In the afternoon of my father’s ...(read more)"
Title: ‘Honesty is the best policy.’ Describe an experience when this was true for you. "The proverb ‘honesty is the best policy’ advises people that it is better to tell the truth than to lie. I have always believed in the proverb. When I was about eleven years old, my honesty saved two friends’ lives. Charlotte has been my best friend since we were very young. We are extremely ...(read more)"
Title: The best things in life are free. "We live in a world that values material goods. However, it is a fact that material goods do not guarantee happiness. The best things in life are free - they are not tangible goods such as silver, gold and diamonds. Neither are they the gadgets that we fancy. There are a few best things in ...(read more)"
"The Internet, which became available to the general public in the year 1991, is currently a worldwide phenomenon. In our modern world, most people depend on it so much that it would be extremely difficult to live without it. Hence, I do agree that the Internet is mostly a good thing ...(read more)"
Title: ‘Truly Malaysian.’ Describe what this means to you. "Being citizens of our beloved country - Malaysia, we should be ‘truly Malaysian’ not only in our feelings but also in our actions. 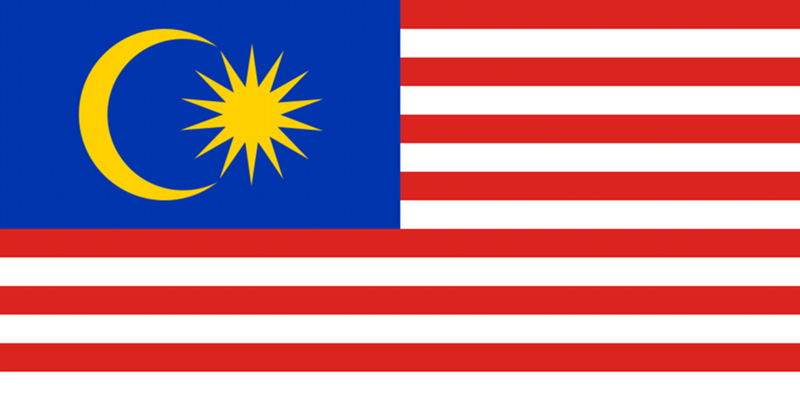 Different Malaysians have different opinions regarding the meaning of ‘truly Malaysian’. To me, being ‘truly Malaysian’ means portraying the Malaysian spirit ...(read more)"
Title: Why is having good neighbours important? "Neighbours are people who live next door or near to us. If we live in a neighbourhood with good neighbours, we are fortunate and blessed. They can be extremely helpful and make our stay in the neighbourhood safer and more enjoyable. I am lucky to live in a neighbourhood with mostly ...(read more)"
Title: Describe what makes you happy and explain why. "It is human nature to long for a happy life. Carrying out activities that we enjoy bring us happiness and joy. There are a lot of things that make me happy and the top three are hanging out with my family and friends, reading and spending time with my pet cat Ginger. I come from a ... (read more)"
"Every day, we learn about road accidents through coverage in the mass media such as television, radio and newspapers. As we all know, the majority of road accidents are caused by reckless drivers and not by faulty vehicles. Last Thursday, while I was walking home from ... (read more)"
"The time has come - 2016. This is the year I am going to sit for the national examination, SPM. It is time to be serious, to face the reality and to take the challenge. Let me tell you my feelings as the SPM examination date gets nearer and nearer. I have been suffering from loads of ... (read more)"
Title: ‘A friend in need is a friend indeed.’ Describe how a friend helped you in difficult time. "The first of May last year is indeed a memorable day for me as it is the day Sarah, my best friend, lent me a helping hand in a difficult time. Since that day was a public holiday, Sarah came to my house so that we could do our geography project together. As the saying goes, ‘two heads ... (read more)"
Title: Examinations - good or bad? "Whether we like it or not, examinations are part and parcel of our life. Apparently, most people dislike examinations as they are tedious and a lot of preparation is required. Despite the fact, I believe that examinations are actually good for us due to a number of reasons. First of all, ... (read more)"
"Throughout our life, we will encounter many people and make friends. But among these hundreds or perhaps thousands of people we meet, only a handful of them are our true friends. So, you might ask, what are the qualities that true friends should possess? First of all, true ... (read more)"
Title: Social networking has caused a lot of problems. How far do you agree? "Social networking, which is also known as social media, is the use of internet-based applications or websites to make connections with people such as our family and friends. It is now becoming an important part of our lives. In order to keep pace with the advancement of ... (read more)"
Title: Are loyalty and membership cards for shoppers really worth it? "Having loyalty and membership cards seems to be the norm among shoppers nowadays. The cards are one of the efforts of business organisations such as department stores and hypermarkets to attract consumers. It is also intended as a way to offer rewards ... (read more)"
Title: Spending time in shopping centres has become a culture in our country. Do you agree? "In this epoch of rapid development, a myriad of shopping centres have been built. Many of them are still in the process of being built. We cannot deny the fact that they have become quite an indispensable part of today's generations. Many people prefer to spend time in ... (read more)"
Title: Are smartphones a necessity? "There was someone who was seated on a particular side and edge. He pondered over his problems. His poor face brought out emptiness and did not show any tranquility. Where had his happiness gone? Happiness. It is a very simple word but has a profound meaning. Every ... (read more)"
"Mom, my birthday is approaching. May I ask for something from you and Daddy?" Farah asks her mother. "Of course my dear. What do you want?" "Can you buy me an iPhone 6 as my birthday gift?" Well, it is not uncommon for teenagers today to ask for something ... (read more)"
"I sit in a corner of the prison cell, staring at the small window which was built high up in the wall. Inside the cell, there are only loneliness and silence. I am waiting for the coming of tomorrow. Feeling miserable and remorseful, I close my eyes, crying silent tears. I begin to ... (read more)"
Title: Is tuition necessary? Discuss. "Tuition is the act of teaching, especially to people in smaller groups or individuals. It is extremely common among Malaysians, especially primary and secondary students. When asked if tuition is really necessary, different people have different opinions. From my point ... (read more)"
"Whenever I attend weddings and see the adorable pairs of newly-weds, I would wonder how my future wife be like. One thing I can be sure of is that she would not just be any other woman. There are certain qualities that I would like her to have. She should be of medium ... (read more)"
Title: Write a story about being alone. "Last Saturday night, my parents went to their friend's wedding dinner. I wished I could follow them as I hate to be home alone. Unfortunately, only my parents were invited so I could not go. Before leaving the house, my parents comforted me and told me that they would come ... (read more)"
"Everybody said that my sister Britney was the beauty of the family. I did not really mind them saying so, as it was apparent. What I did not like was the way they pointed out how unattractive I was. "Is Britney really your sister?" they would exclaim. "It's incredible - you don't ... (read more)"
"I flew over the water, my hand skimming the water's surface. I love the water - it was so much better than our cities up in the sky. The water's surface shone in the sunlight, its cool touch greeting my hand. I sighed as I rose up high and plunged, stopping just before I hit the ... (read more)"
Title: Write a story ending with: "... They looked at each other and smiled meaningfully." "Tony sat by the side of the lake, his head in his hands. He sobbed softly, his heart full of misery and regret as he took out a dainty ring. "I miss you so much, Tessa," he whispered as he stroked the ring. The lake used to be their favourite spot when Tessa was still alive. While he ... (read more)"
"I walked into the shopping centre, cool air greeting me. My mother grabbed my arm and started to haul me to the nearest store. I was going to college in a fortnight and my mother thought that I should at least get some decent college clothes. She pulled jeans and shirts ... (read more)"
Title: Write a story of an old man returning to his home he left many years ago. "Charles stood at the gate leading to a large mansion. Trees were scattered around the compound and the lawn looked like it had not been swept in a long time. He took a deep breath and pushed the gate, opening them with a rusty screech. He crunched across the dried ... (read more)"
Title: Write a story beginning with: "The teacher walked into the classroom. It was the first period..."
"The teacher walked into the classroom. It was the first period and everyone was pretty much still asleep. The teacher rapped his knuckles on his desk, jolting everyone awake. "Teenagers," he said as he began to write notes on the board. I groaned and took out my ... (read more)"
Title: Write a story ending with: "... Now I realise the value of a true friend." "We sat behind a desk, Professor Painswick yelling at us. "Do you understand what you have to do?" she screamed at us, the chandelier practically shaking with the vibration of her voice. "Yes, professor," we answered dully as I was staring down at my feet. We had ... (read more)"
"It was late in the afternoon. My brother Jason and I were on a routine patrol near our base camp. The streets were deserted and there were cars scattered around. Armed with guns, we were scanning the area for any signs of activity. It had been almost three years since the ... (read more)"
Title: Write a story beginning with: "I could tell by his face that he was angry..."
"I could tell by his face that he was angry. Vice principal Mr Chaplain slammed his fist onto the desk and looked at us. "Why did you beat up Charles in the cafeteria?" he shouted at me. "I've told you already. He started the fight. He insulted Tessa and I tried to ... (read more)"
"It was not like I wanted to be born with power like this. At the same time, it was not that I did not want it. In my family, the ones who had this kind of power were my elder brother, Yi Fang, and me. He is the only sibling who loves me dearly, unlike my other siblings. I am the ... (read more)"
"It was midday and we were out in the woods making our daily patrol. The forest was quiet as we rode horseback down the path, whispering among ourselves. Eruvan and I headed the group and all of us were armed with bows and arrows. "This routine patrol is so boring," ... (read more)"
Title: Write a story beginning with: "It had been raining all day ..."
"It had been raining all day. I sat next to the fireplace, my toes curled up and a book in my hands. I was listening to music via my iPod and tapping my toes to the rhythm. I was about to nod off to sleep when someone banged on the door. I grumbled as I tore off my ... (read more)"
Title: Write a story that ends with: "... and so I became a better person." "It was a hot afternoon as the scorching sun was shining brightly in the sky. I was about to take a nap but the heat from the sun was unbearable. I sat on my bed, feeling sleepy. I turned around and looked at my study table. It was in a mess. Books and stationery were strewn ... (read more)"
"It all started at boarding school. I was sent to boarding school at the age of 13 in the hope that I would excel in my studies. But I was quiet and always got bullied by older kids. Only one person stood up for me: Sam Berenson. We became best friends and later, we went to ... (read more)"
Title: Write a story beginning with: "Kim was nervous when the door opened..."
"Kim was nervous when the door opened. In the doorway stood Zack. Who would have thought that of all the girls, Zack would pick Kim as his dance partner? Kim was red with nervousness and her nails dug into her palms. She was wearing a long dark blue dress and curly ... (read more)"
Title: Write a story with the following title: 'A Narrow Escape'. "It was a sunny day and a few clouds were seen floating across the blue sky. I had reached 20,000 feet when my friend, Mike, reached me by radio. "Hey Dean, after this test flight, why don't we take the girls out for dinner?" he said. Mike and I are the test pilots for a jet- ... (read more)"
"Life was perfect. I had a girlfriend, a great family and I was about to enter Harvard University. But then there was a disease outbreak. The human race was almost wiped out as most humans were transformed into zombies. I fled with my family and my girlfriend, Jean, to ... (read more)"
"It was late at night. James and I were walking in a field near our base camp. The stars were out and suddenly, James covered my eyes with his hands. "Tada!" he said, removing his hands to reveal a small candlelit picnic table. "Oh, James, that's so sweet of you!" I said ... (read more)"
Title: Write a story that ends with: "... If only I had listened to his/her advice." "I had never felt so much regret in my whole life. I was standing in a graveyard looking at a headstone. The headstone read 'Marie Sanders. Born 21 May 2040. Died 13 February 2072. No sister was ever so loved and deeply missed.' I laid down a bouquet of flowers I ... (read more)"
"There are many famous people in the world who are in the entertainment line, science field and so on. The person I admire in particular is actor Tom Hiddleston. He was born in Westminster, London, as the middle child with two sisters. Tom Hiddleston is best known for his role as ... (read more)"
Title: Write a story ending with: "If only I had been more careful, that wouldn't have happened." "It was dark. My partner Jack and I were doing our usual rounds around the palace grounds, talking among ourselves softly. As we walked, I looked around. The night air was still and the palace grounds were deserted. "I'm thinking of going to the tavern to ease up ... (read more)"
"Last December, my family and I went to Pulau Tioman for our holidays. We stayed there for three days. On the first day, we left our house at six in the morning in my father's car and headed for the jetty. As we arrived quite early at the jetty, we decided to have our breakfast ... (read more)"
Title: Write a story beginning with: "Is it really you? Where have you been all these years?" "Is it really you? Where have you been all these years?" I yelled at the guy at the door. He was shuffling his feet nervously and staring at the ground. "Lily, I can explain," he started to say but I interrupted. "You disappeared into thin air for 3 years and I didn't hear ... (read more)"
"The night was extremely chilly as it had been snowing a lot here in Rome. The lovebirds, Matt and Lily, had just finished watching a romantic film. While their car stopped at the traffic lights, Matt held Lily's hands. Suddenly, a lorry rammed into the back of their car ... (read more)"
"When I was at a very young age, I remember playing with the kid next door named Ramlee, the girl from across the street - Tina with her shy little brother, Jonah, who was always tagging along. All of us lived in the same neighbourhood. All of the residents knew each other ... (read more)"
"It happened a few years ago at work. I worked as a physiologist at a Wellness Centre for soldiers in New Jersey, USA. One day, I was assigned to James who had a leg injury from a battle in Afghanistan. At first, we just talked to each other about normal casual stuff but ... (read more)"
Title: Describe an unforgettable incident that you saw on your way home from school. "The last period had ended and after bidding the teacher goodbye, our class started to disperse. After mounting my mountain bike, I started pedalling along the concrete path. Soon, I was out of my school. It was a sunny afternoon and I could feel the heat of the sun on ... (read more)"
"What do colours mean to you? Colours can express ones' feelings and it can also represent ones' sexual orientation. Colours can determine what type of person you are. Besides making a room look spacious, colours can also make you feel energised. That is what colours mean ... (read more)"
Title: Write a story ending with: "...They looked at each other and smiled meaningfully." "Janet and Siew Ling were best friends. They loved to do good to other people. Their acts of kindness to others made them happy and gave them satisfaction. One day, while on their way to an orphanage to work as volunteers, they saw an old lady by the roadside. As she ... (read more)"
I was assigned by my teacher to complete two essays during the holidays. I have completed one, but I am worried that this essay may be not so good and I wanted to make an improvement on it. This essay is quite long, about 800 words. So could you check and edit my essay before I hand it in to my teacher? If you could, please tell me the mistakes I have made. Write a story ending with "I noticed a single drop of tear flowing down her cheek...". What is the difference between 'could' and 'would', and when to use them? Is it before past tense or present tense? (1)	as the past tense of 'can'. 1. Should we use 'besides that' or 'beside that' ? 1. Since 'beside' is a preposition to show position, the correct phrase should be besides that. 2. Apart from dialogues, we use the simple present tense when we talk about facts and universal truths. We saw __________ of tigers in Africa. The right collective nouns for tigers are 'ambush', 'streak' and 'hide'. "Almost everyone in the world has future plans. A person without any plans is likened to a ship sailing the ocean aimlessly without any destinations. Having plans help us know our objectives in life and this can help us realise our dreams more effectively. Like most ... (read more)"
Title: Mobile phones should be allowed in schools. Do you agree? "Mobile phones are one of the great inventions and high technology items in this modern era. They have become some of the most indispensable objects in our daily life as technology becomes more and more advanced. Nowadays, most people from teenagers to the elderly ... (read more)"
"It was the wettest December I had ever experienced. The torrential rains had ruined my holiday plans as floods continued to wreak havoc in several states. I had pleaded with dad to allow me to go to the east coast with my friends but he had been unyielding. The thought of having ... (read more)"
"In the east beyond the city, the sun rose. It resembled a red gold ball. A ray of light shone through the window of my bedroom. I woke up and opened the window. Some birds could be seen carrying out their daily routine energetically. It was the day that I had to move ... (read more)"
Please give me the complete lists of collective nouns for people, animals and things. The lists of collective nouns for people, animals and things are available on this page. The list for animals has just been updated. Though not 100 percent complete, you can find those that are most commonly used... (read more)"
We use I was and I were in different circumstances. In normal circumstances, we use I was as 'was' is the past tense of the verb / auxiliary verb 'am'. I was home yesterday morning. I was shopping when I met Julie last week. I was late for the meeting because I was stuck in a traffic jam for quite some time ... (read more)"
Title: Describe an outing with your friends. "Last year during the first semester holidays, I went on an outing with my classmates and best friends, Ariff and Adam. Adam's father won a trip to Penang, which came with a hotel suite stay for three people for two nights. As he was busy with his work, he decided to let us ... (read more)"
Title: Write a story ending with "... I realised that good-hearted people are always there in this world." "Class, our lesson has almost come to an end. Your homework for today is to do exercise 12 on page 45 of your textbook," said our mathematics teacher, Mdm Wong. Not long after, the school bell rang. After bidding farewell to our teacher, the class dispersed. As it was ... (read more)"
Title: Write a story with the following title: 'Pride Goes Before A Fall'. "Having held the interschool storytelling championship for the past three consecutive years, I was the star of my school. When it came to choosing the right candidate to participate in such competitions, I was always the first choice. Naturally, I was once again selected to ... (read more)"
"During the last Chinese New Year holidays, my family and I made a trip to Kuala Lumpur. A few months before we went on the trip, my parents booked the air tickets. They also booked a room at the Swiss Hotel in Kuala Lumpur. In the morning that we were supposed ... (read more)"
to play - the infinitive marker to is often used before the base form of a verb to show purpose or intention. Here, the purpose is 'play'. The children love to play in the playground. Since it is raining, Steven and his sister have to play inside today. He is going to play me a tune on his harmonica. ... (read more)"
Title: Write a story ending with: "... How will I explain everything to my father?" "Son, turn off the computer now and do your revision immediately. Your second terminal exams are approaching," said my father, as he was getting ready for work that morning. Although I did obey him and do as he said, I was as stubborn as a donkey. As soon as he left ... (read more)"
I'm glad to visit this site. I have found that English312 is great and helpful to me. Thus, I have a question to ask, that is, when to use 'have been' and 'had been'? Another question is, when to use 'I have had to'? Hope to see your reply soon, thank you. I'm glad to know that you find english312.com a great and helpful site. Have been / has been is combined with a present participle (words ending with an '-ing', such as 'playing', 'reading', 'watching', 'cooking', etc.) to form the present perfect continuous tense. has been cooking ... (read more)"
Title: Write a story beginning with: "The teacher walked into the classroom. It was the first period ..."
"The teacher walked into the classroom. It was the first period that morning. Our English teacher, Puan Maimunah, greeted us and we greeted her back. Then, the lesson began. While Puan Maimunah was teaching, all of a sudden, there was a loud scream coming from the ... (read more)"
What is the difference between 'did not' and 'do not'? Can you explain how to use didn't and don't? Thank you. Do is a plural auxiliary verb (singular: does) used with not before a full verb to form negative sentences. e.g. do not wash, do not read, do not run, etc. They do not go to church on weekdays. ... (read more)"
I have a question: how to use the words 'can' and 'could'? Thanks for your question. The modal verb 'can' means 'be able to' or 'to know how to do something'. Veronica can speak German fluently. ... (read more)"
I need to know how to use the word 'omnipotent' in a sentence. Can I use it in essays? is it suitable? (1) (of a deity) having unlimited power and therefore able to do anything. According to Mr Brown, he and his family worship an omnipotent ... (read more)"
I have a problem using the phrase 'first things first'. Is it true that it can only be used in the first paragraph of an article or something like that? Thank you for your question. The phrase 'first things first' means 'the more important things should be done or dealt with first'. (1) First things first - let's finish our homework before ... (read more)"
Title: Write a story with the following title: "A Narrow Escape". "Billy was extremely overjoyed. He had just got his SPM examination results and he scored straight A's. His parents promised to take him to Taiwan for holidays if he passed the public examination with flying colours. Billy's parents kept their promise. A week later, they were ... (read more)"
"The teacher walked into the classroom. It was the first period of the school day. After our class had exchanged greetings with our English teacher, Mdm Lucy, we started our lesson. While the class was going on, all of a sudden, there was a blackout. We heard the ... (read more)"
Title: Describe the biggest challenge in your life. "I had a pampered and protected childhood. As the youngest daughter, I was the princess and prima donna of our family. I usually got what I wanted, much to the envy of my two brothers and a sister. When I was ten years of age, I had an illness with strange symptoms ... (read more)"
Title: A day I wished had never happened. "Every time I see my pet dog Lucky's picture, I feel sad. I had always wished Lucky good health and longevity. I did not want him to leave me but it happened accidentally about six months ago. It was a windy evening in my housing estate. A lot of people came out of their ... (read more)"
"My eyes are filled with tears as I look at a photo. It is a family photo taken three years ago, showing my parents, my younger brother Alex and myself having fun while we were having a picnic at a beach. I used to have a warm and happy family but now I am left with only memories ... (read more)"
How do I use "is filled" or "is fulled"? The phrase 'is filled' is often used with the preposition 'with', making it 'is filled with'. (1) The phrase 'is filled with' means ... (read more)"
Title: Write about a person who has succeeded in life. "It is lunch hour. A large restaurant located in the heart of Kuala Lumpur city is packed with regular customers. Waiters and waitresses are busy serving the customers. Outside the restaurant, the owner of the restaurant is seen arriving in a luxury car. After parking ... (read more)"
"I had never taken my studies seriously. In fact, I was the happy-go-lucky type of person. Compared to me, my classmate, Ming Wei, was exactly the opposite. He was quiet and serious in his studies. Thus it was not surprising that he often performed well academically ... (read more)"
"Of all the animals on earth, only human beings keep other animals as pets. Among the various types of animals, the dog is the most popular animal kept as a pet. Like many other people, I keep a pet too. It is a male dog named Lucky. I got this dog when ... (read more)"
"One Saturday afternoon, I had to babysit my three-year-old little sister. My mother was going out and my father had to work overtime. My little sister, Angie, was cute and witty. She had a pair of large sparkling eyes and a pretty face. She was hyperactive and loved to play ... (read more)"
"It had been raining all day and I was feeling bored that evening. As the single child of my family, I had no one to play with. My mother was ironing clothes downstairs and my father was away at work. To relieve my boredom, I sneaked into my father's study, which was ... (read more)"
"We were all very excited and happy when my father announced that we were going to move to a new house located in a new housing estate. My father had wished to buy a new house for a long time. After saving his money for a few years, he managed to save enough to make a down payment ... (read more)"
"It was a hot afternoon and the heat from the scorching sun was quite unbearable. I was cycling home from school after arranging the books in the school library as I was a librarian. The road was quiet. I felt hungry and was looking forward to reaching home and having my late lunch ... (read more)"
Title: Write a story that ends with: "... We said our goodbyes and went our separate ways." "Last year during the year-end holidays, I had an opportunity to participate in a Youth Camp organised by the Boy Scouts Association of my school. Since it was the first camp that I had ever taken part in ... (read more)"
Title: Write a story ending with: "...he left and closed the door behind him quietly." "Once there was a couple who was very poor. They had a daughter and lived in a wooden house in the countryside. One night, when the couple was sleeping soundly, all of a sudden a burglar broke into their house quietly through the back door ... (read more)"